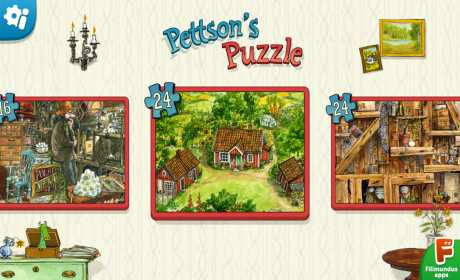 Solve jigsaw puzzles with old man Pettson and his cat Findus! 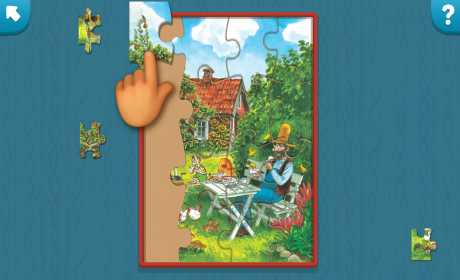 The jigsaw puzzles are based on original drawings created by Sven Nordqvist, the author of Pettson and Findus. There are eight puzzles with different difficulty levels and an interactive surprise after completing each puzzle! 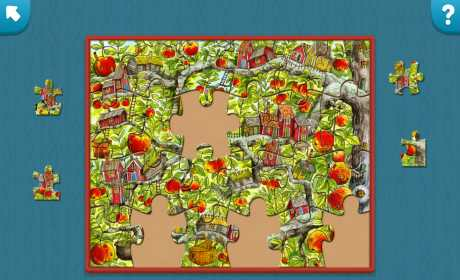 – Two new jigsaw puzzles! – New look! Cleaner menus and interface! – Better help and explanations to get new players started. – Easier to rotate puzzle pieces. – A popup to prevent accidental closing of the jigsaw puzzles.